BoldGrid’s Cloud WordPress is the quickest way to test themes or plugins by creating a free WordPress demo website. 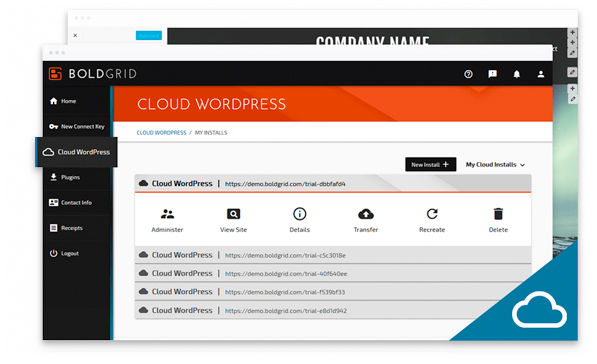 Cloud WordPress allows you to create a fully functional WordPress site (with or without BoldGrid) in just a few clicks. Easily design, build, test and share your WordPress website with anyone. You can use the BoldGrid Backup plugin or another solution to migrate your new website to a live host. Cloud WordPress allows you to create WordPress installations in the cloud. With BoldGrid Premium, you can save up to 15 Cloud WordPress installations from BoldGrid Central. Single use installs can be created so any theme or plugin in the WordPress repository comes pre-installed. 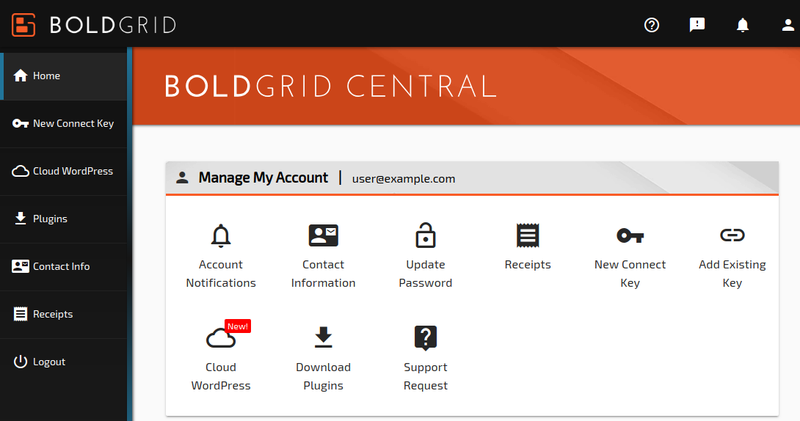 BoldGrid Central allows you to manage your BoldGrid account. Manage your connect keys, purchase new premium keys, download BoldGrid plugins, create Cloud WordPress installations and more.